“No consent, no pipeline!” the crowd chanted as it packed the square in front of the Vancouver Art Gallery. 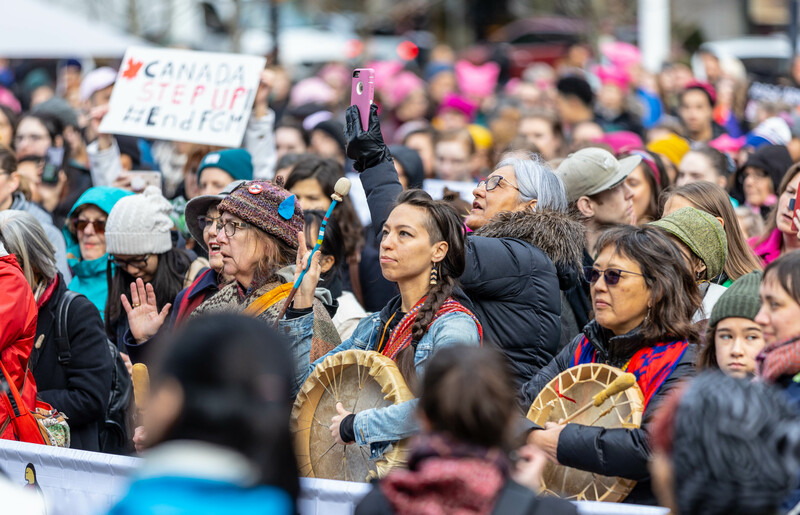 Two years after the first march in response to Donald Trump’s inauguration, the Women’s March in Vancouver remains part of a global movement — but has now shifted its focus inwards to Canada. 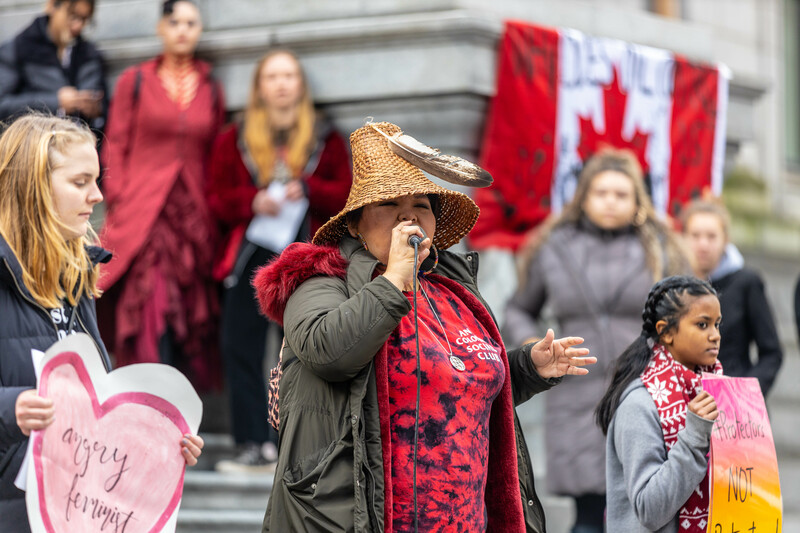 Speakers opened the rally by discussing intersectional issues ranging from the environment to Indigenous rights to violence against women of different backgrounds and abilities. An hour later, the march’s more than 1,000 attendees poured into the streets of downtown Vancouver. 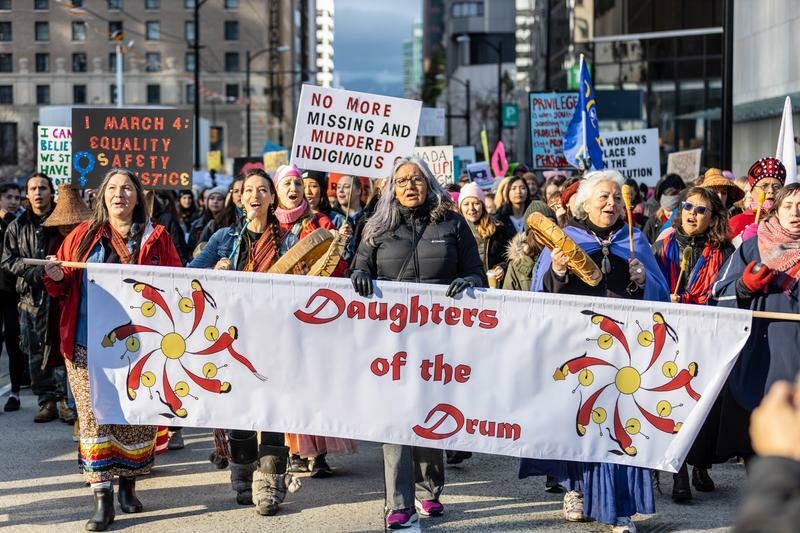 Ahead of the sea of people, the Daughters of the Drum — a Vancouver-based collective of primarily Aboriginal women drummers, singers and musicians — led the way toward Robson Square Law Courts. Instead of marching past Trump Tower like previous years, the rally put the spotlight on Canadian institutions and injustices. “This year, we’re like, ‘Okay, we’ve got a lot of issues in Canada, even in Vancouver, that we need to highlight, and so let’s just do some something that symbolizes the issues for Canadians,’” said March On Vancouver organizer Samantha Monckton. 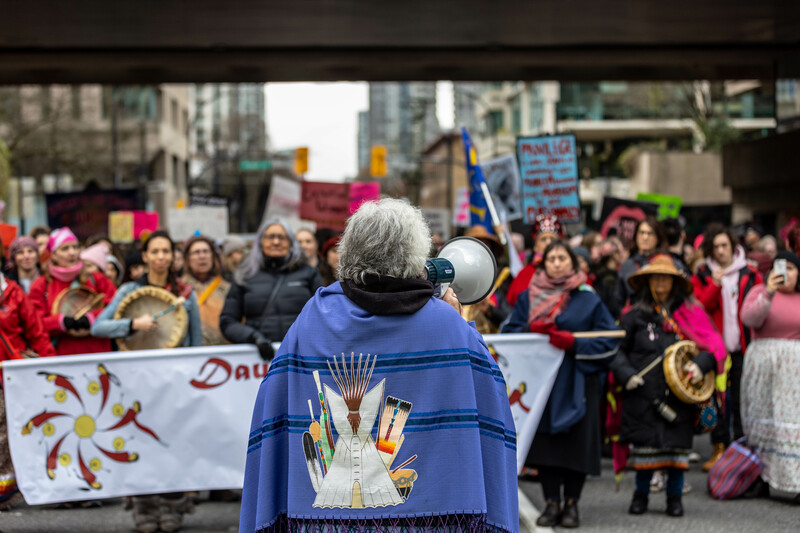 Speakers similarly emphasized holding Canadian provincial and federal governments accountable on environmental and Indigenous rights, highlighting and how these issues are deeply intertwined with the rights of women. In particular, they referenced the arrest of members of the Wet’suwet’en nation in northern BC while protesting the building of a pipeline on their territory. “Reconciliation is about giving back what was taken ... we are not owners of the land, we are there to take care of the land,” said hip-hop artist JB the First Lady, a member of the Nuxalk & Onondaga Nations. She ended her speech with a performance of “The Most Unprotected Girl,” a song about Mother Earth that is also a tribute to the strength of Indigenous women and girls. A strong presence of UBC students attended in solidarity. 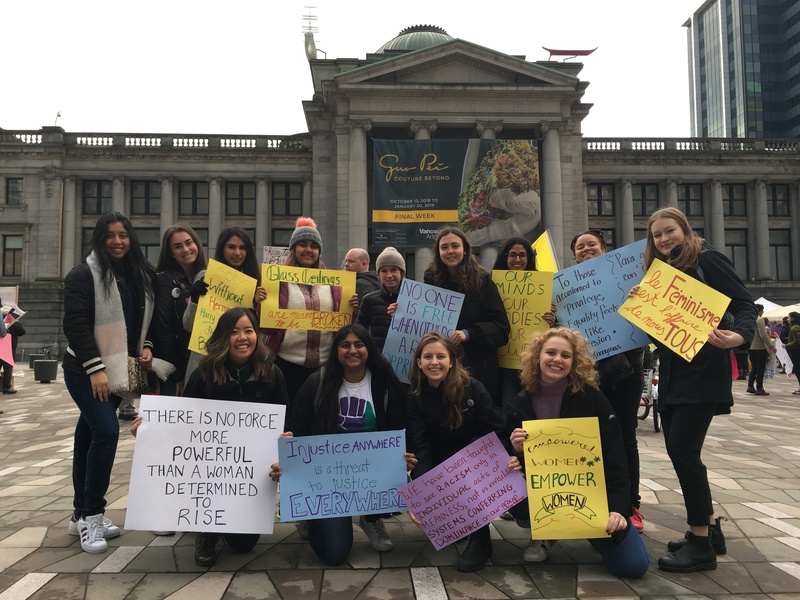 Neha Tadepalli, president of AMS Equal Voice UBC — a club that works to increase representation of women and marginalized groups in Canadian politics — organized a presence of 15 students. For her, the pivot to Canadian issues recognized how past Women’s Marches came under scrutiny for not including a diverse array of voices. Many UBC students shared the same frustration. Max Kittner, a second-year arts student from the United States, hopes students will see the need to mobilize for what they believe in. Monckton hopes that attendees will continue amplifying the spirit of the march through civic engagement, especially with a federal election coming later this year. Young speakers echoed the significance of demonstrations like these — in addition to voting and direct action — in building community and momentum for change. “Organizing ourselves has never been anything else but loving each other,” said UBC alumna Mitra Kazemi.